“Apronia” is a group of children and adolescent centred services available round the clock every day of the year. can accommodate about 30 children and adolescents from ages 4 to 18. Exceptionally new- born and babies are also accepted. Their stay can be on a temporary, a yearly or, as so often, on a permanent basis. Youngsters remain at the Centre until they can lead an independent life. The admission criteria are strict. To be aceptede the children and adolescents must find themselves in a dangerous situation (abandonment, risk of violence and abuse). The children can also be welcomed at the request of parents in serious difficulties. All the children and adolescents go to the local school. Those who are beyond school age can get a scholarship for 3 years or more, provided by the State or by Apronia, according to the availability of funds. They must work for 20 % of the time to help finance their studies. We give the children a lot of attention and a life style similar to a middle class Peruvian family. The children and youngsters benefit from support staff and professional educators who can help them overcome their personal suffering and also offer school support and legal support. The requests for help are numerous in the region but unfortunately many youngsters cannot be accepted in the Centre for lack of resources, yet staff and social workers of Apronia do their best to support them in their own environment. The help mainly consists of psychological support, legal help, help to under age single mothers, financing of health services, supply of prosthesis, spectacles, and urgent transport to hospitals or health centres. The youngsters can begin their working lives through an apprenticeship in one of Apronias businesses. In order to offer training opportunities, jobs and financing the Welcome Centre, three businesses run at full steam. The Guest House Bello Horizonte is located in a unique surrounding the Amazonian jungle, offering extraordinary biodiversity in a spot of perfect peace to discover the harmonious melodies of wild fauna. 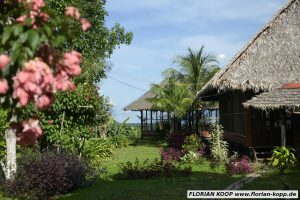 The Guest House also offers typical local food, transport and excursions to the forest. 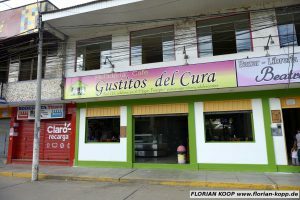 Well known in the whole town for its delicious products and for offering a congenial meeting place for families and youngsters. Sells school supplies at affordable prices. 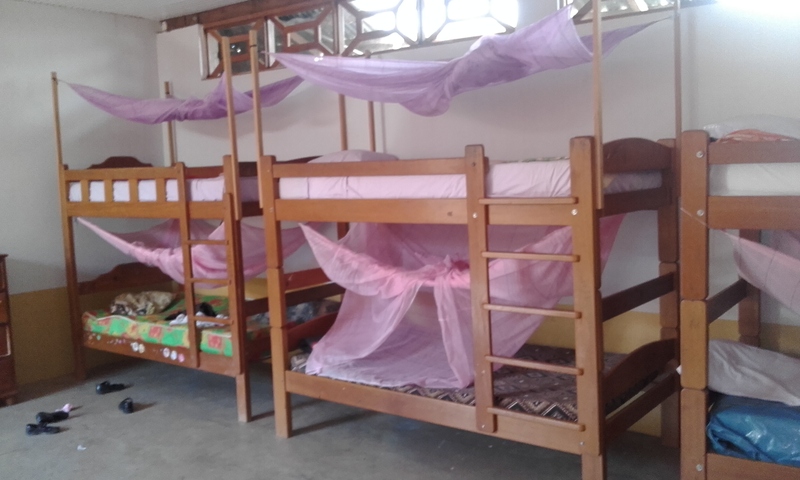 The annual budget of the Welcome Centre for 30 children amounts to SFR 200,000. The annual scholarship budget 2016 for 14 youngsters amounts to SFR 33,000 all costs included (lodging, food, school fees, clothing, hygiene and medical expenses). The permanent staff consists of 5 educators, a cook, a help and 2-3 volunteers. Three people take charge of administration and upkeep. Financing is made possible partly through the profits of the business ventures and partly through the funds collected by the Swiss Apronia Association. The objective is a stable economic base to ensure autonomy.